The slate industry has left an indelible mark on the history of our society. The slate quarries and its associated masses of wastes have an awe-inspiring impact on us. 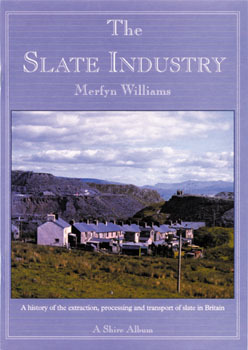 This book is an in-depth at the once great slate industry. It covers what slate is, its uses, history of its development, and more, and features countless vintage black and white photos. It also looks at the social, cultural and political manifestations of the slate enterprises, and poses the question of how we regard the legacy of the slate industry. Should abandoned sites be cleared or preserved, and how can we further our understanding of this great industry? This book will answer that question and many more and should be a captivating read for all.